This week, we try to harmonize the colors in an image. They should be complementary to each other or of opposite sides of the color wheel. You can read this article regarding color theory to get a better understanding of complementary colors. 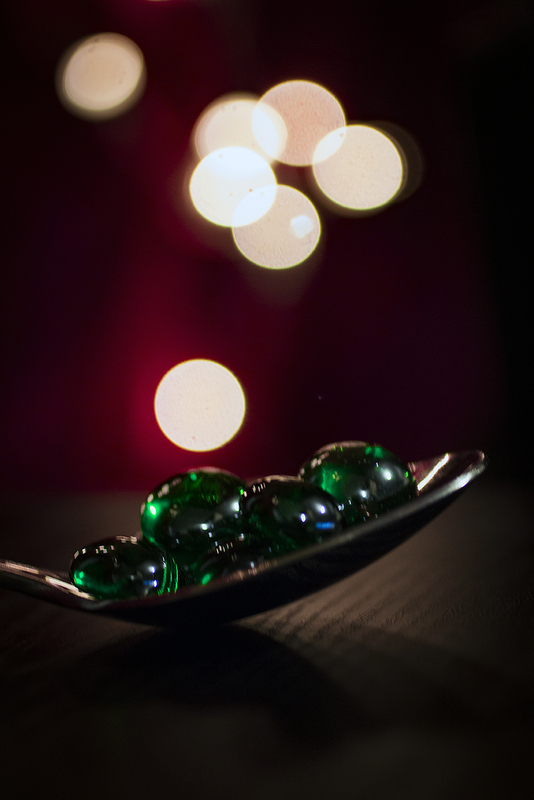 For this image, I chose to mix the red backdrop I have set up with the green glass baubles that I had placed in a spoon. The colors are on opposite sides of the color wheel and complement each other nicely.